Finca San José Km 5 1/2, Lago Zaza, Sancti Spíritus. 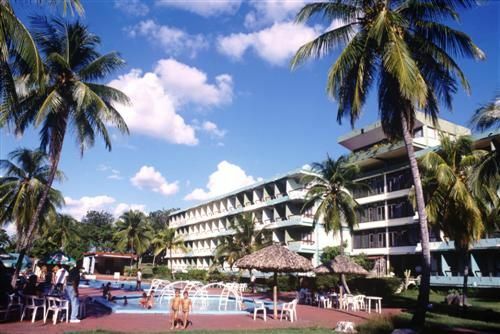 Description: Hotel Zaza, situated by the river and lake that gave it its name and midway between the cities of Trinidad and Sancti Spíritus. It is an ideal spot for those who wish to practice nature tourism, speleological-tourism, and cycle-tourism; also for those in transit to other destinations and above all for aficionados of hunting and fresh-water fishing, who will find attractive and exceptional conditions here. 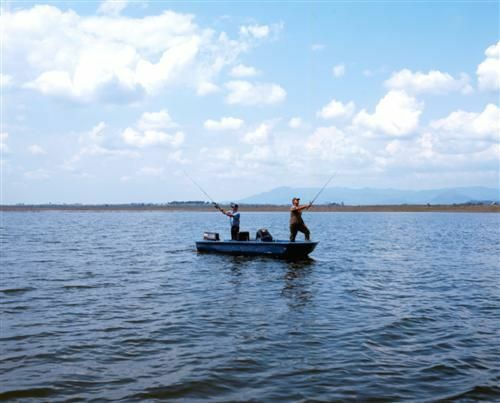 The Lake Zaza is Cuba’s largest artificial lake with between 40 and 50% of its area designated for sport-fishing only. It is also possible to fish throughout the year in lakes like the Lebrije and La Felicidad or in rivers such as the Agabama and Zaza, with the best catches between November and April. Big-mouth black bass weighing up to 8 kilograms, attract professional fishermen who insist on repeating their visits. For hunting, the facility offers its Coto Zaza (Zaza Preserve), abundant in ducks, quail, snipes, white-winged and white-tailed laurel pigeons and provides specialized guides, rifle and cartridge rental, well-trained hunting dogs, freezer services and comfortable jeeps that will undoubtedly facilitate a hunting day. However, the Zaza has more options: excursions to Cayo Blanco (Key Blanco), where its virgin nature features 20 meters of fine white sand beaches, and to the colonial-style cities of Trinidad and Sancti Spíritus, boasting key historical and architectural treasures; there are also day and nighttime animated shows. 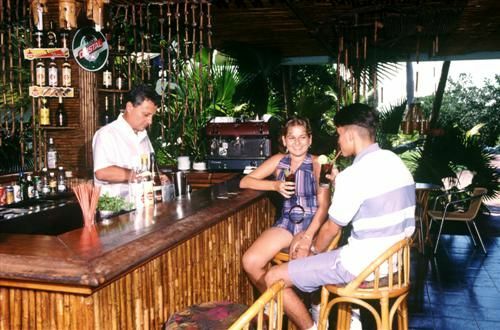 124 air-conditioned rooms with private bath, satellite TV, mini-bar and telephone; 3 restaurants specialized in Cuban criolla, international and specialized cuisine, cafeteria, lobby bar; night club, sauna, swimming pool for children and adults, game room, shop, parking, currency exchange, laundry and car rental. Facilities for fresh and salt water fishing and small game hunting. Visit Cuba and enjoy the Nature. No reviews for Hotel Zaza yet.